Happy Monday! Since I just got back from Disney World last week, I thought today would be the perfect time to share some of the souvenirs I picked up while I was at Disney! 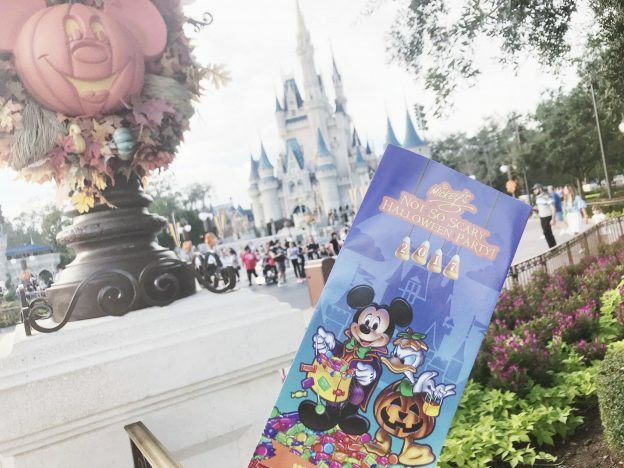 This trip in particular was so amazing because I got to experience the Epcot International Food & Wine and attend Mickey’s Not So Scary Halloween Party for the first time ever. That’s what I love so much about Disney, even though I’m an annual passholder and visit all the time, there’s always something new to experience and enjoy (that’s why I’m so excited about all the new rides/lands coming to the parks!). Since my Disney trips are often so close together, there’s isn’t always a ton of new merchandise from trip to trip. Because of that, I haven’t been getting as many souvenirs as I used to (mostly because I already own so much Disney merch from the parks!). Like I say in all my Disney Haul posts, a quick disclosure: since I am a Disney World annual passholder, I get a pretty good discount on merchandise (20% off!). You guys, Disney Ufufy has finally come to the US! I’m so happy because they’re seriously the cutest little things. 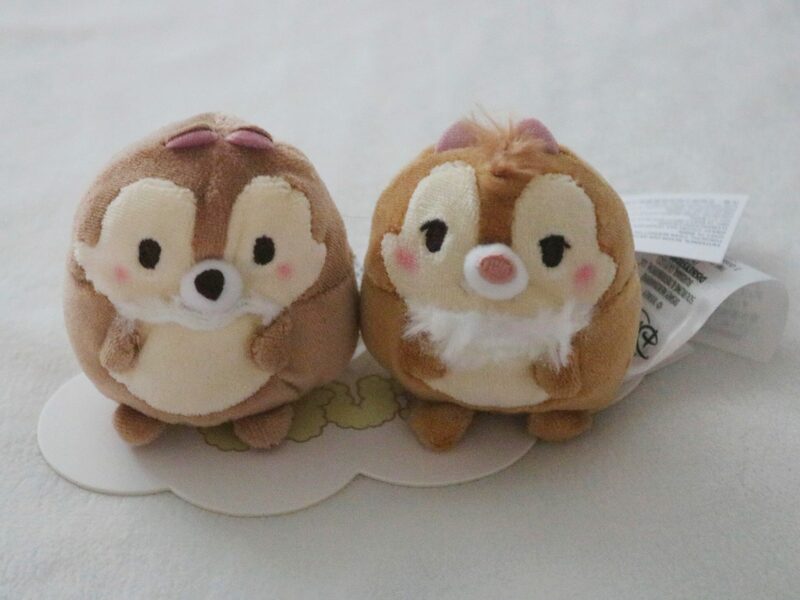 Of course I HAD to pick up the Chip ‘n Dale set. FYI, I picked up these Ufufy plushies while I was at the Florida Mall (not at the Disney Parks) but I still wanted to include them in this little haul. 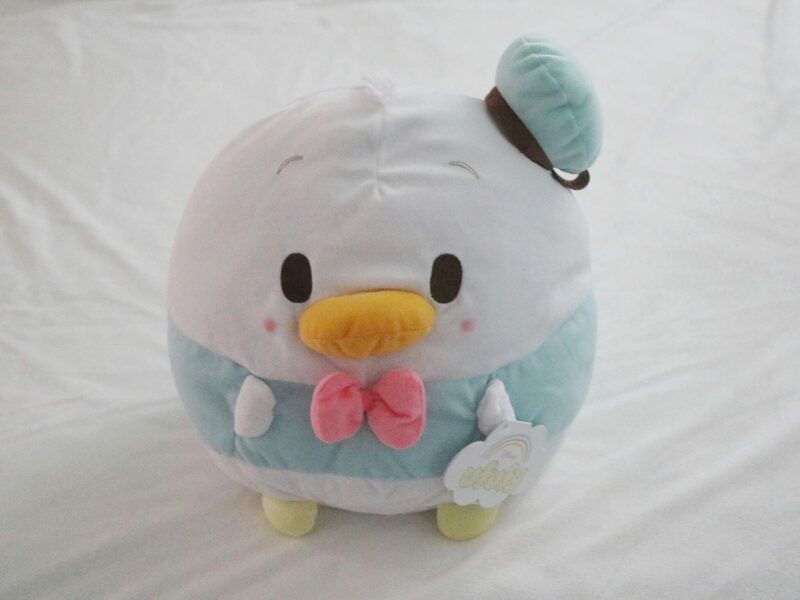 I’ve heard the quality of the US Ufufy’s are horrible in companion to the ones from Japan but I don’t really care (they’re still cute!). Ever since I got a new crock pot last month, I’ve been doing a ton of cooking lately! So I decided to pick up some Disney cooking supplies. 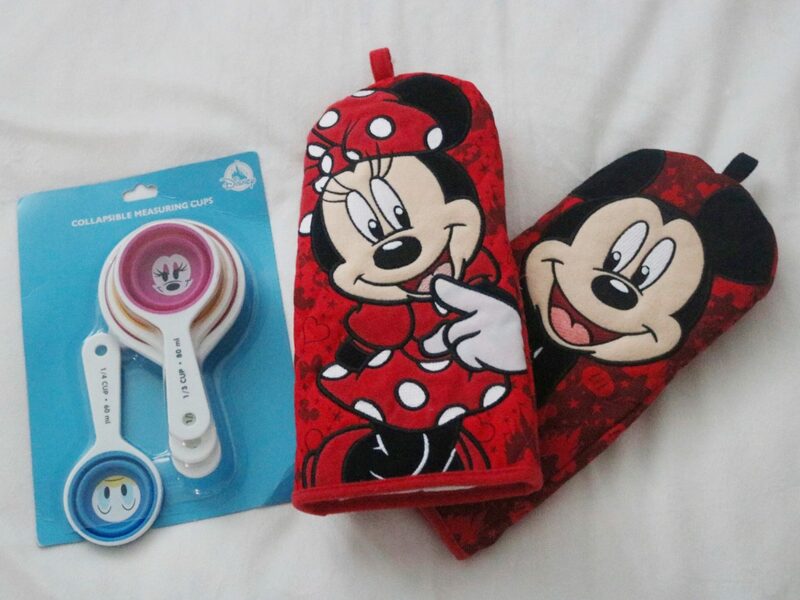 I got Mickey and Minnie oven mitts and a collapsable measuring cup set (how cute is that?). 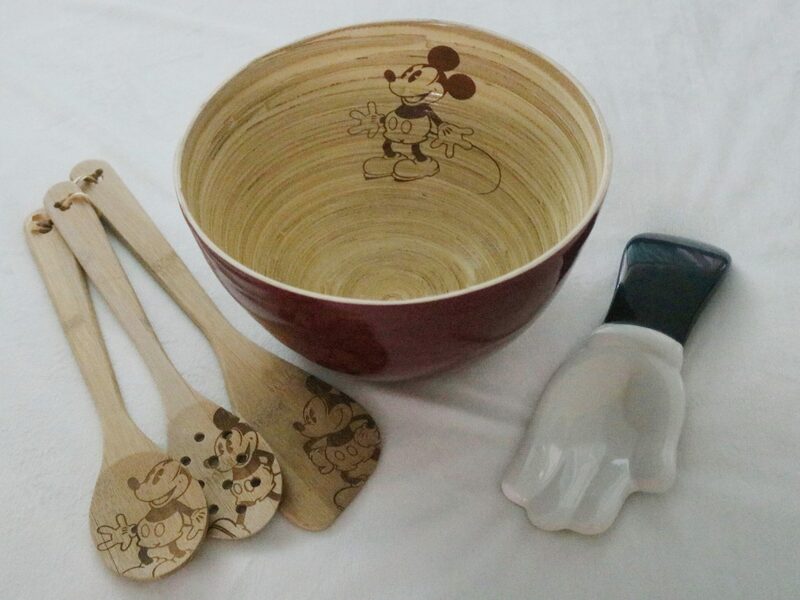 I also got a wooden spoon set, a mixing bowl (that matched the spoon set) and a Mickey hand/glove (to place the spoons while I’m cooking). Disney recently came out with this collegiate collection and it is seriously the cutest thing ever! 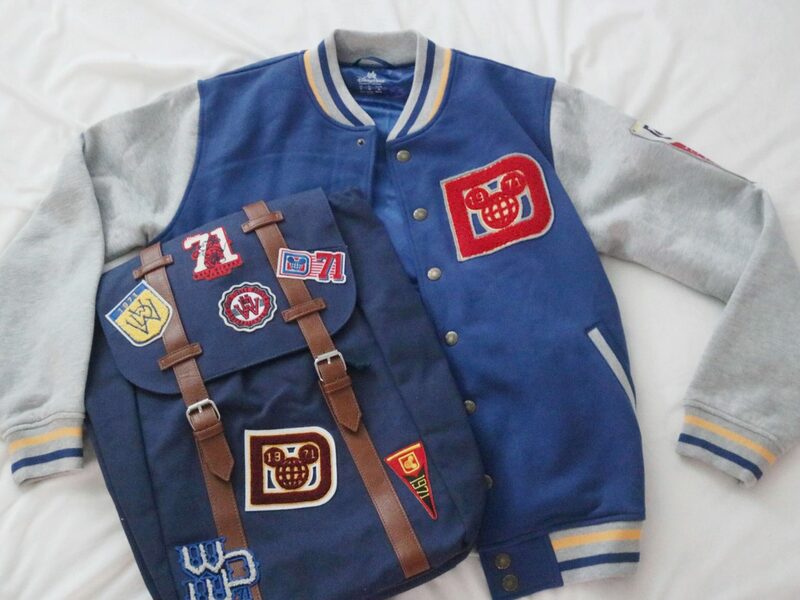 I loved this Varsity Jacket and backpack! The last thing I picked up while at Disney World (which happens to be my favorite) was an adorable Mrs. Potts and Chip tea pot set. 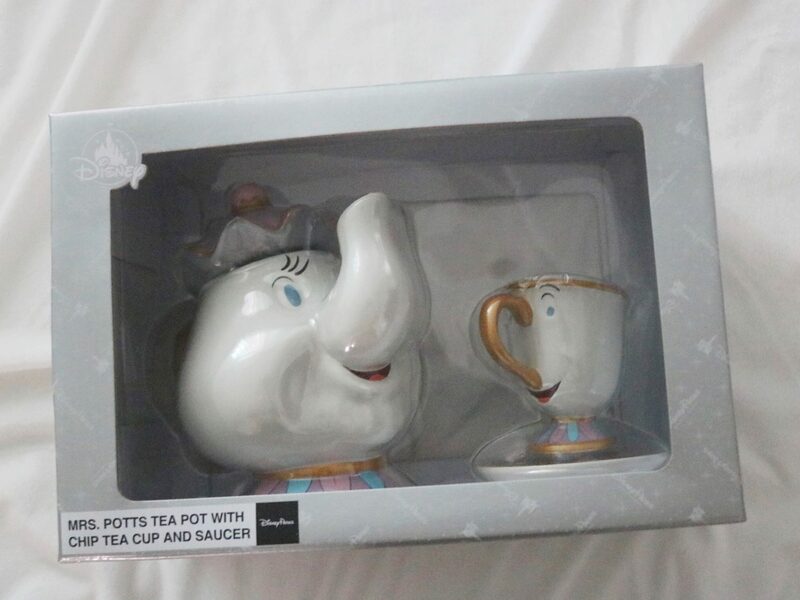 It’s no secret that Beauty and the Beast is my favorite Disney movie so I’m super excited to FINALLY add Mrs. Potts (I already own several versions of Chip) to my collection!